Out of the myriad of ways to make money, there are few choices as renowned as stock investments. Most employees have indirect investments through their employers, nestling a portion of their salary within a 401K retirement plan. However, it can be more rewarding, and profitable, to interact and invest in the stock market on your own accord. If you want to learn how to make money in stocks, please take the time to read the beneficial advice below and take it to heart. 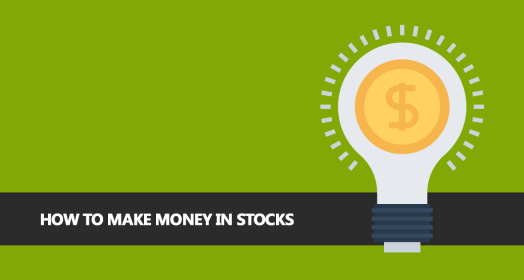 An investment is the simplest way to describe what a stock is. In order to raise capital, companies will put shares of their holdings on the stock market for investors to purchase. When someone purchases the share of stock, they become a shareholder of that company and either: waits for the chance to sell the stock at a higher value and earn a profit, or receive a dividend from the share itself. Stock investments are a long-term gamble, no matter what. Whether a stock’s value rises or falls depends on circumstances outside of your control. A stock itself may rise in value while the market plummets, or the market may rise while a certain stock plummets. It is essential to understand that nothing is guaranteed, but you can minimize risks and maximize rewards through careful monitoring and adjustments. As mentioned before, there is no guaranteed method of netting a large profit with stocks. However, there are ways to improve your earnings over time. Research the company that owns the stock. Take note of their profits, losses, and any notable events that could have an adverse effect on the stock’s value. Monitor the share. Never get complacent and stop paying attention to your investment. Keep an eye on its progress. Be prepared to cut your losses. There is no shame in trimming a falling share from your portfolio. Diversify the contents of your portfolio. You never want to go all-in on any single investment. To summarize, stock investment is a gamble on a company’s growth over time. You can make a prediction on how the share will do by looking at the company’s history, and then make changes accordingly. Don’t be afraid to simply cut your losses, and remember to diversify your investment portfolio to cover as many bases as possible. That’s how to make money in stocks.